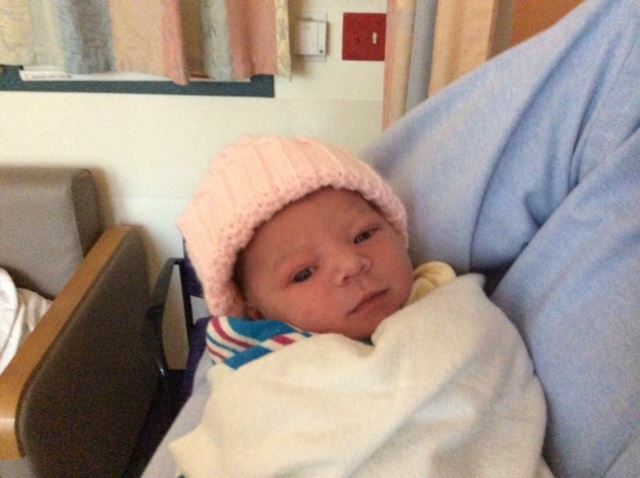 I am the proud Grandmother of a darling little girl named, Annie Elizabeth. 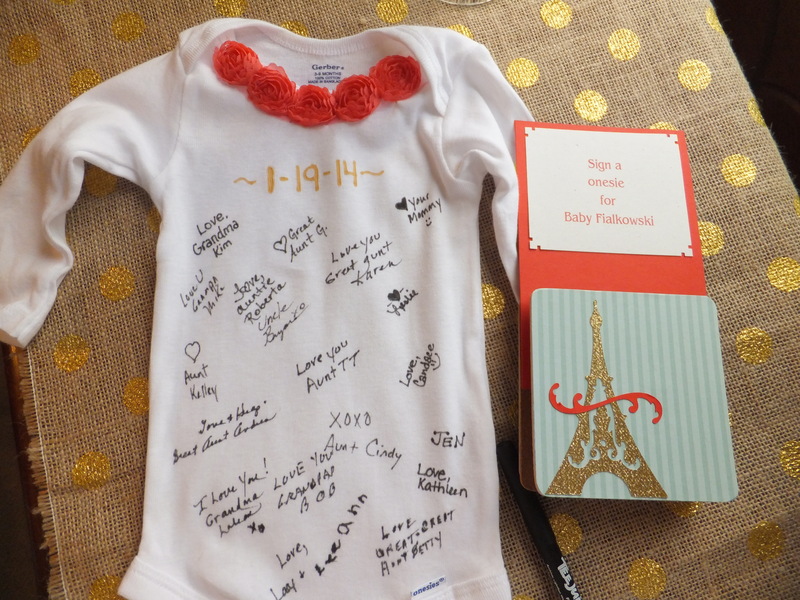 In January, I hosted a baby shower for my daughter and on one of the tables I had a onesie for everyone to sign. I purchased a package of onesie’s at Walmart. The trim was purchased at JoAnne’s. 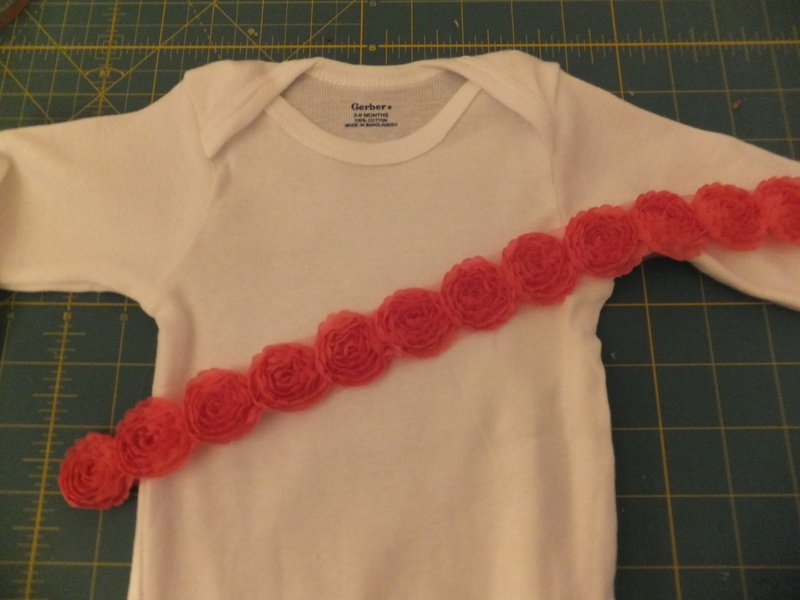 I first attached the trim around the neck of the onesie, by hand sewing. 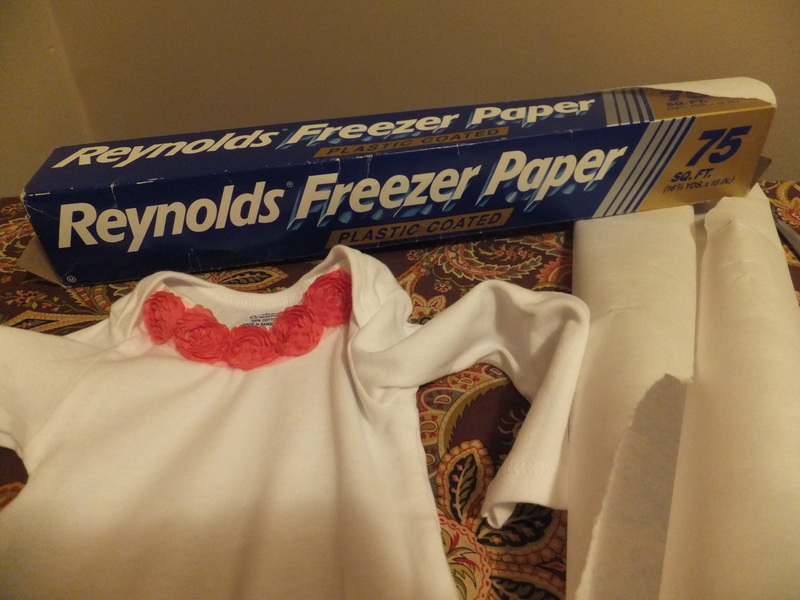 Next cut a piece of freezer paper and with the shiny side up, ironed it to the inside of the onesie. 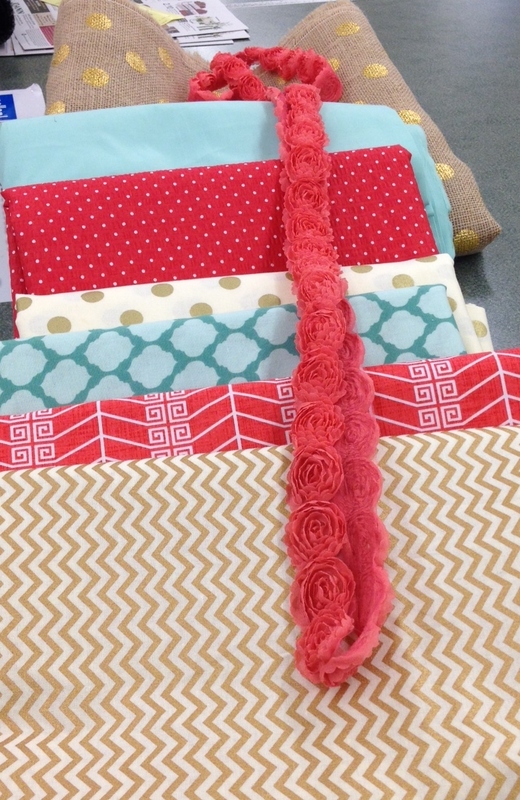 This was to help the fabric stay in place while the guests were signing their names. All of the guests enjoyed leaving a message for our dear Annie! 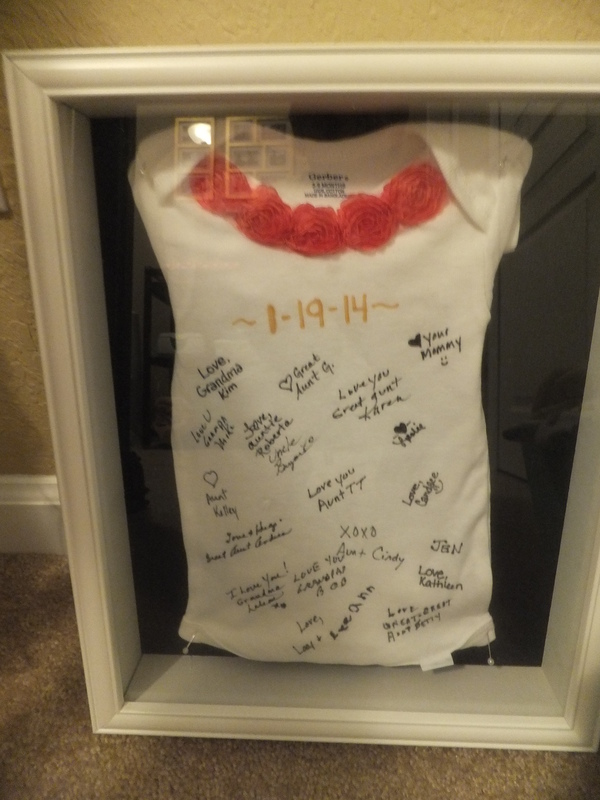 To display the onesie, we purchased a shadow box. 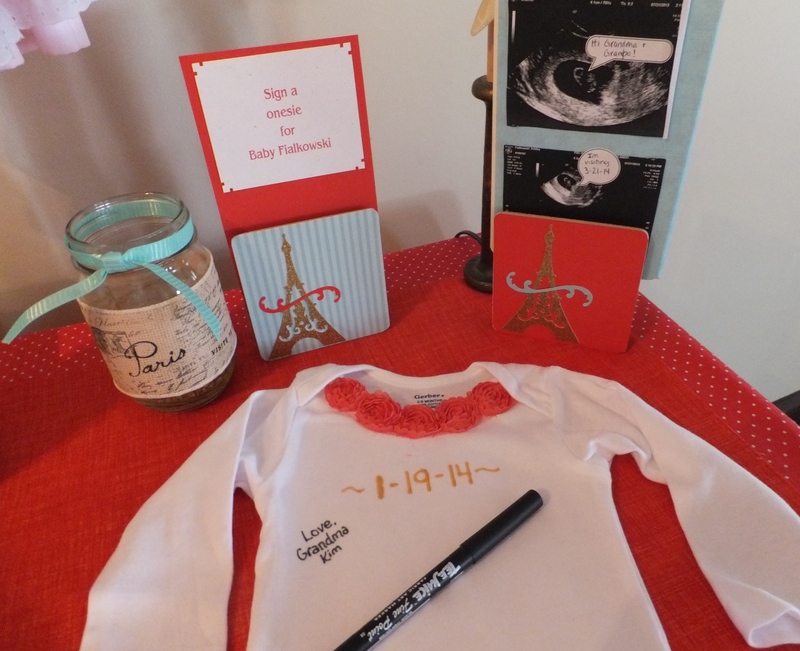 The lining of the shadow box was black,so to tie the shadow box into the theme of the nursery, we decide to line the back of the box with fabric that we had used in the nursery. 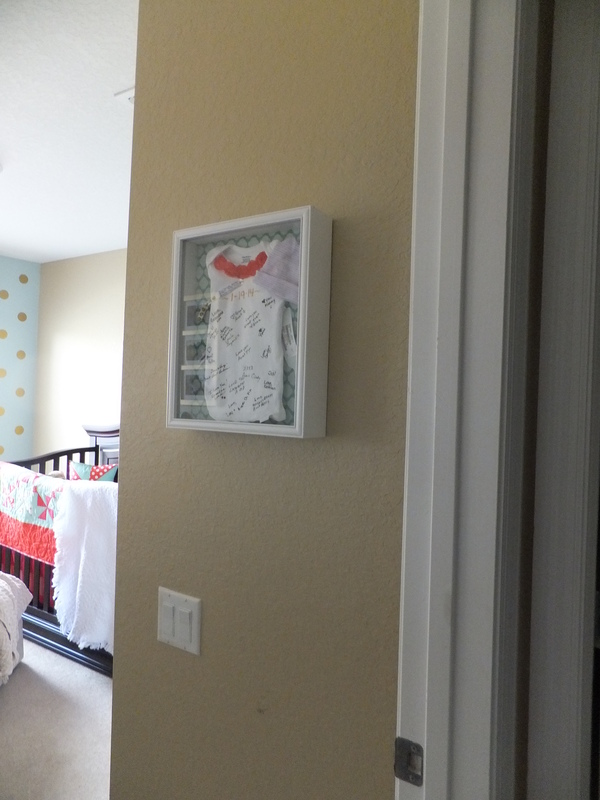 This is the shadow box hanging on the nursery wall. 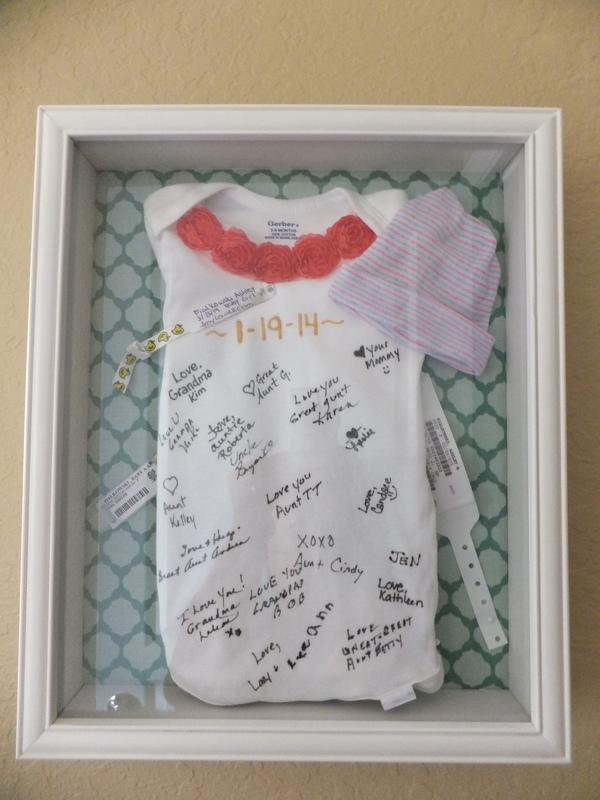 We also included the wrist bands and hat from the hospital in that shadow box. I attached all the items to the back of the frame with straight pins.